Indiana University had a vendor booth at the 2016 ATRA conference! I love Indiana University! 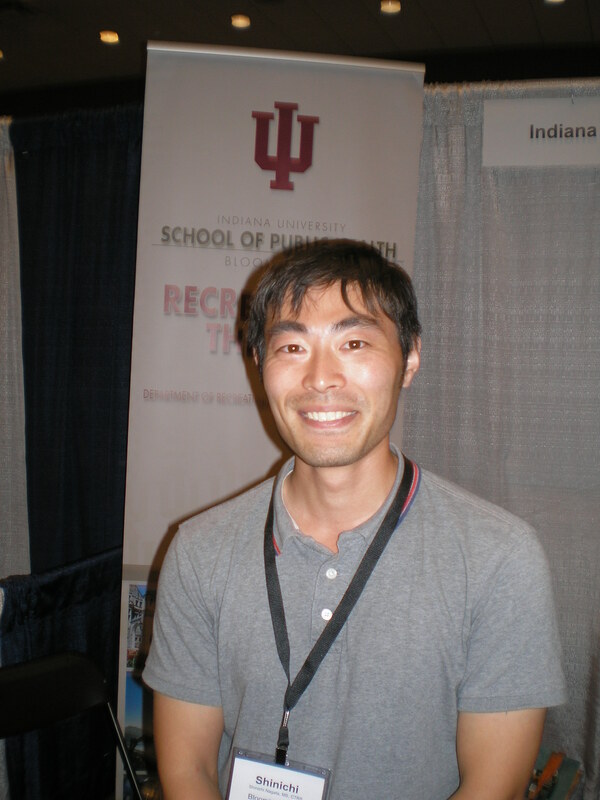 I completed my graduate degree in Recreational Therapy from Indiana University in 2006 with Dr. David Austin, Dr. Bryan McCormick, and Dr. Younghill Lee. Dr. David Austin isn’t at the conference. He is retired, but still very active in the profession. I was very happy to have taken the last course Dr. Austin taught to students before he retired. It was a course based on social psychology. One of my favorite courses and topics! I had run into Dr. Bryan McCormick in passing. Jared Allsop was there! He organizes the student conference. I plan to attend and present at that in 2017. Shinichi was at the ATRA booth. He is doctorate student at IU. (See picture). There was a real bad windstorm at the 2016 student conference. Shinichi assisted me with getting my laptop to re-boot during the power flickering out and then the power was out for good.